Connecticut has some incredible fishing opportunities available to all. Within a reasonable travel time, anglers can visit a number of different water bodies that offer unique fishing experiences. From freshwater lakes stocked with walleye or catfish to streams abundant with trout and salmon, there is no shortage of new places to try your luck and enjoy the day. Visit a shoreline access point to fish for the large variety of salt water species. Seasonally, anglers can catch porgy, bluefish, striped bass, fluke, blackfish and other salt water species. 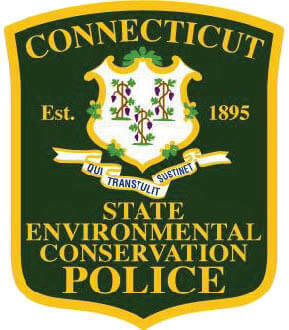 Now thanks to the Passport to Parks, those with Connecticut registered vehicles can enter state parks free of charge to access some amazing fishing spots. Our Environmental Conservation Police Officers are a wealth of knowledge. Please ask us for tips regarding tides, baits, recommended fishing methods or any general questions when you see us in the field. We are here to assist and enjoy seeing you succeed. 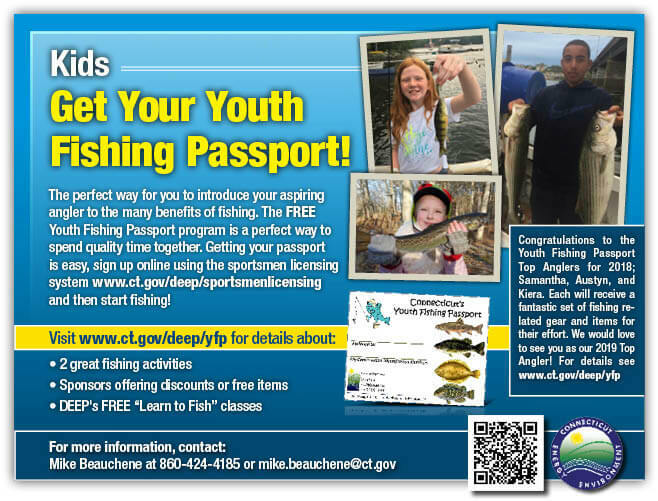 With that said, please be sure to review this guide prior to each season, and go online to purchase the fishing license which best fits your needs. Regulations change yearly. Don’t forget the Trout and Salmon stamp if needed (as explained elsewhere in the Fishing Guide)! Please take the time this year to introduce someone new to the sport of fishing. Become a mentor. Check out the Connecticut Aquatic Resources Education (CARE) program which includes state certified fishing instructors who will pass along information and expertise they’ve gained while angling in local waters for many years. Also, take advantage of our state’s free fishing days. We encourage the citizens of our State to assist us with our mission of protecting the State’s natural resources by taking an active role in reporting fish and game violations by calling the 24-hour toll free number at 1-800-842-4357. Please stay safe while visiting our state parks, forests, lakes, rivers and Long Island Sound.